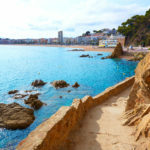 Lloret de Mar as a couple: choose a dream holiday in Spain! Would you like a holiday or a romantic weekend away? Sun, sea and warm sand? Lloret de Mar is THE destination! Discover our selection of activities and visits for a romantic holiday. For a romantic week-end for two, a last-minute decision or not, Lloret de Mar is the perfect destination. This little corner of paradise is easily accessible from the UK. Crystal clear water, beaches, mountainous inland scenery, tapas. What better way to take a break from the daily grind? 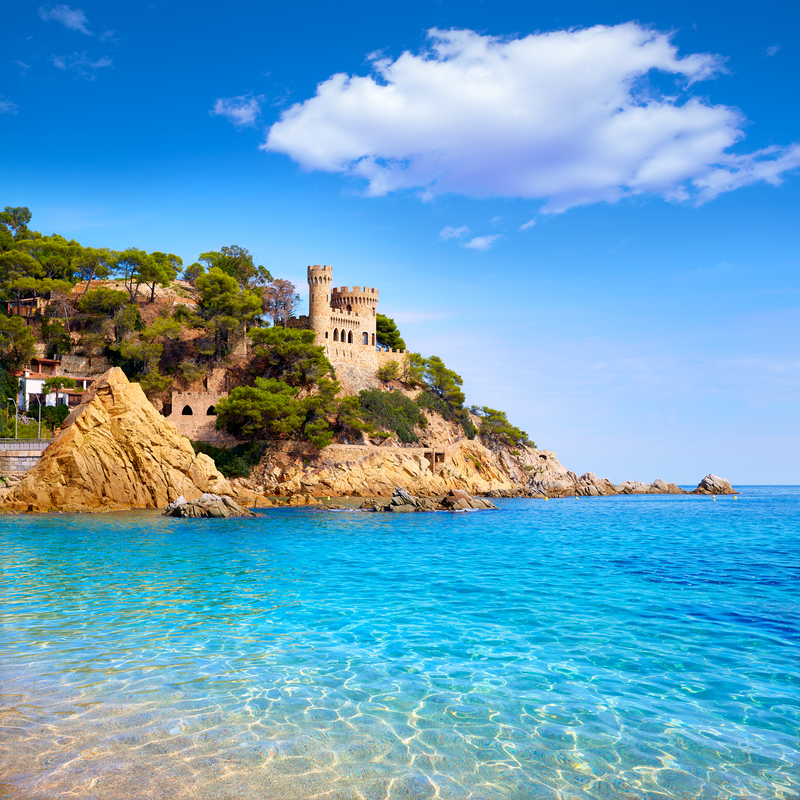 Head to the Costa Brava for a romantic escapade – it will take you away from it all! For your romantic holiday in Lloret de Mar, book a dream holiday rental! In Lloret de Mar every day is different! Among the activities on offer, several are perfect for couples. Take advantage of your holidays in Lloret de Mar to discover the heritage and the environment of the Costa Brava. – Do you like nature? The Santa Clotilde Gardens are like an oasis of peace. 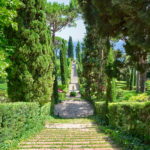 In addition to the luxuriant vegetation and the atmosphere of calm, the gardens also have one of the best viewing points in Lloret. 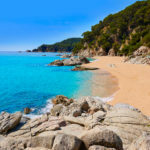 – The beaches are one of Lloret’s main attractions. Wide sandy beaches or intimate little coves – the choice is yours. 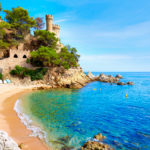 Sunbathing, swimming or snorkelling: these are just some of the activities that you can practice on any of the 5 best beaches in Lloret de Mar. – To make the most of the sea, why not take a boat excursion? Just the two of you or as part of a group, find the formula that works for you to discover the Catalan coast at your own pace. – Change your routine and spend some quality time together! Going for walks together is perfect for relaxing and discovering the Costa Brava hand in hand. To get to know the best walks, read our article about romantic walks in Lloret de Mar. Holidays are also about fun, don’t you agree? In Lloret de Mar, there is no shortage of original and entertaining activities! – What about heading out to discover the hidden parts of the coast in Lloret de Mar? Take a kayak with your other half and spend some memorable hours paddling on the Mediterranean. Find a hidden cove and go for a dip! – When night falls, you can take advantage of the relaxed party atmosphere that spreads over the town. In Lloret de Mar, there are more than enough bars to choose from! To organise your romantic evenings out during your stay, consult our article about Where to go out as a couple in Lloret. Exploration, funny and original experiences…they are all very well, but let’s not forget the essential part of your holidays: relaxation! Make the most of your holidays as a couple in Lloret de Mar to recharge your batteries. – Do you need to feel pampered? Plan a spa day with your other half! – Among the many options you can choose from when dining out in Lloret, we recommend a selection of 5 restaurants that are just perfect for a romantic meal. If you are staying for an extended period, think about wandering further afield from Lloret de Mar: we can suggest 10 unforgettable excursions to take in Catalonia!